How do you like to remember things you do and see when traveling with the family? I know some families like to journal. Sharing pictures on social media is a great way, too. We also like to reinforce some of the cool things we’ve learned by doing activities after we get home. Like recreating petroglyphs that we saw on the Big Island of Hawaii last year. 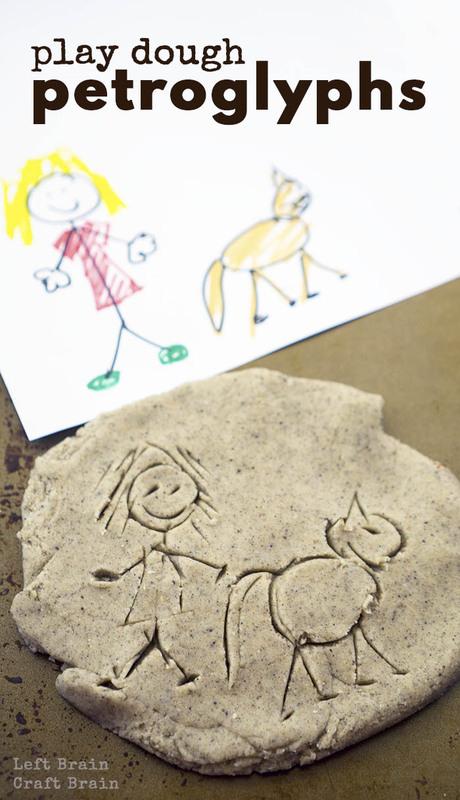 So we made some really cool sand play dough and got drawing and carving! Here’s our inspiration from a recent trip to the Big Island of Hawaii. The Anaehoomalu Petroglyph Field can be found near the resort area of Waikoloa and is filled with amazing carvings. 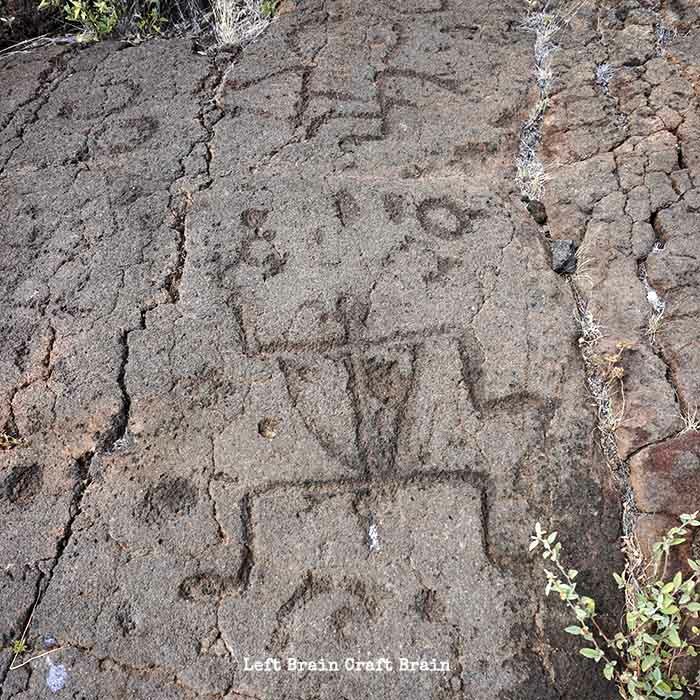 These petroglyphs were believed to be carved as the Hawaiian people waited to cross the boundary between the ancient kingdoms of Kona and Kohala. There were images of people and geometric shapes scattered throughout the hardened lava rock. It definitely made you want to know what all of the drawings mean! 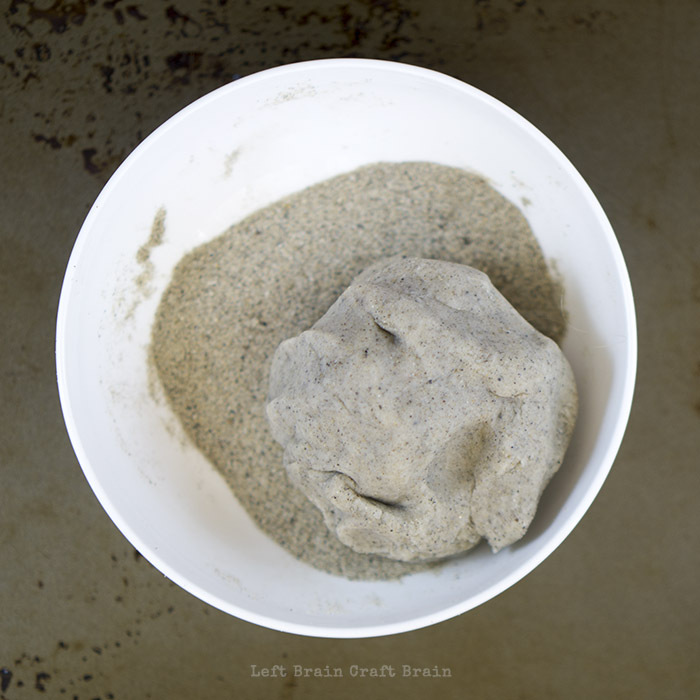 Since petroglyphs were usually carved with a chisel and a mallet into the rock, we decided to try something a little easier for little hands and use play dough. But not just any dough, a rough, textured sand dough. We loved the feel of the sand play dough. It was a totally different sensory experience. It’s amazing how much sand the dough can absorb and it’s a really fun process for the kids to do themselves. So make up a plain batch and set out some sand and let them have at it. Maybe outside in case they really get into it like my daughter did!! My recipe for homemade sand dough is at the bottom of the post. Although the meaning of the many petroglyphs is unknown, anthropologists believe they were used to commemorate important events and parts of the people’s lives. So I encouraged my daughter to draw out a story of her family for her petroglyph before we started with the play dough. She drew her and her cat. The funny thing is, we don’t have a cat. She just reeeeally wants a cat. Then we moved onto the play dough. 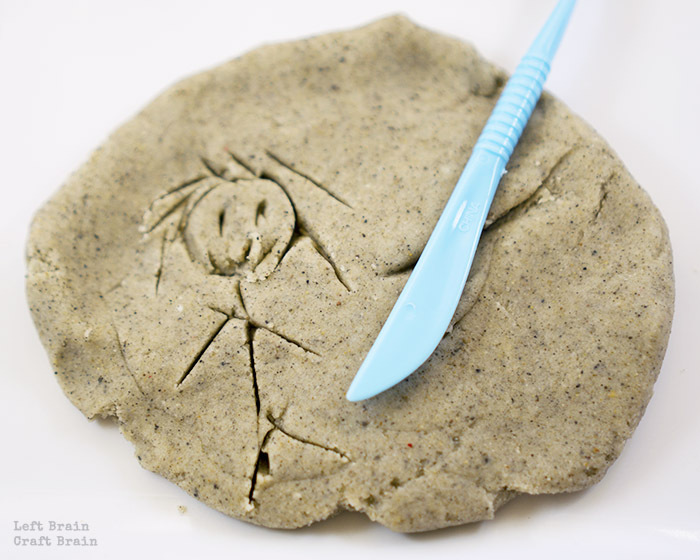 Any vaguely skinny or sharp tool will work to carve your petroglyphs in the play dough rock. We used some play dough tools like these that worked perfectly. 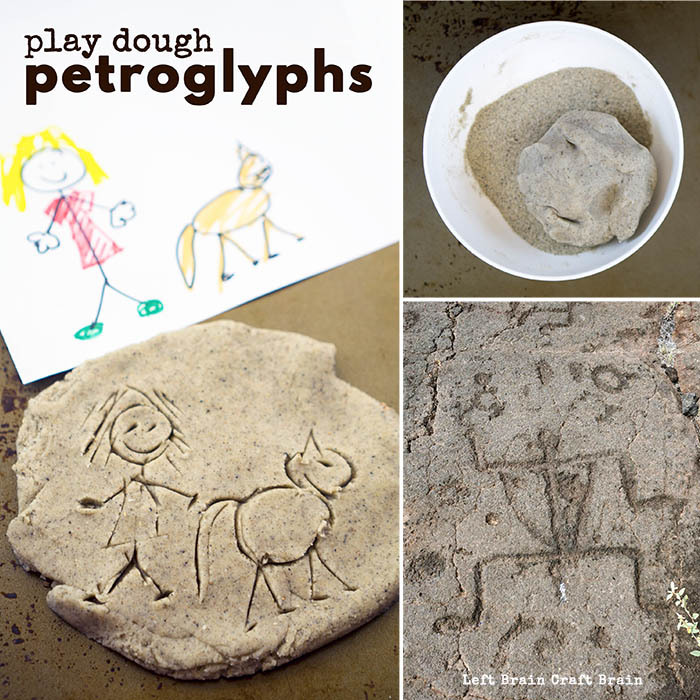 And unlike real petroglyphs, you can always start over by smoothing out your play dough. Want to make them colorful like some cultures did? You can use markers and paint on the play dough as well. And then because my girl thought that people might use petroglyphs to hide treasure, we turned the activity into a treasure hunt. My favorite treasure hunt items are these colorful aquarium rocks. Super sturdy, not too small and kids LOVE them. Combine dry ingredients in a large pot and stir until well mixed. Stir in water and oil until combined. Cook over medium heat, stirring frequently, until dough is thick. 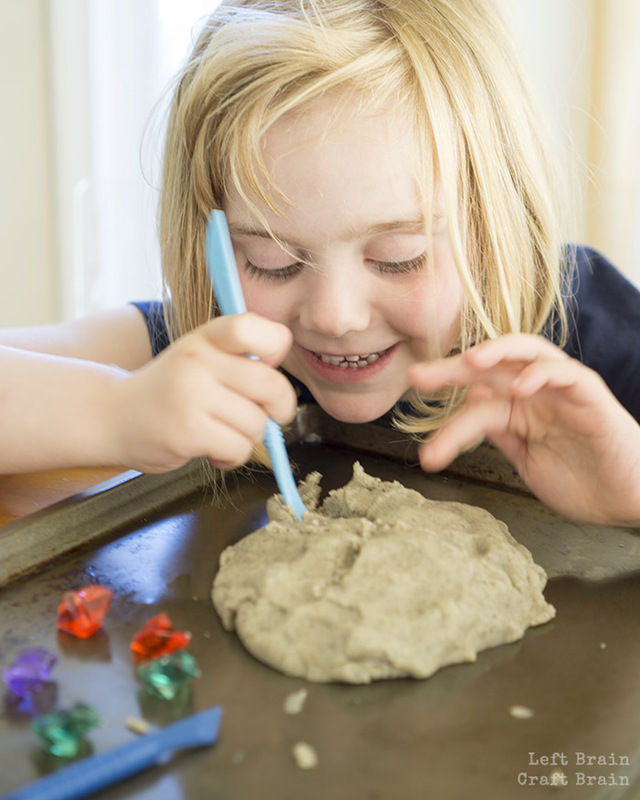 Remove play dough from the pot and place on a plate or cookie sheet until cool enough to handle. Cover with a paper towel or dish cloth so it won’t dry out. Once dough is cool enough to handle, knead sand into dough until well incorporated. Once dough reaches room temperature, store in an airtight container or zipper bag. 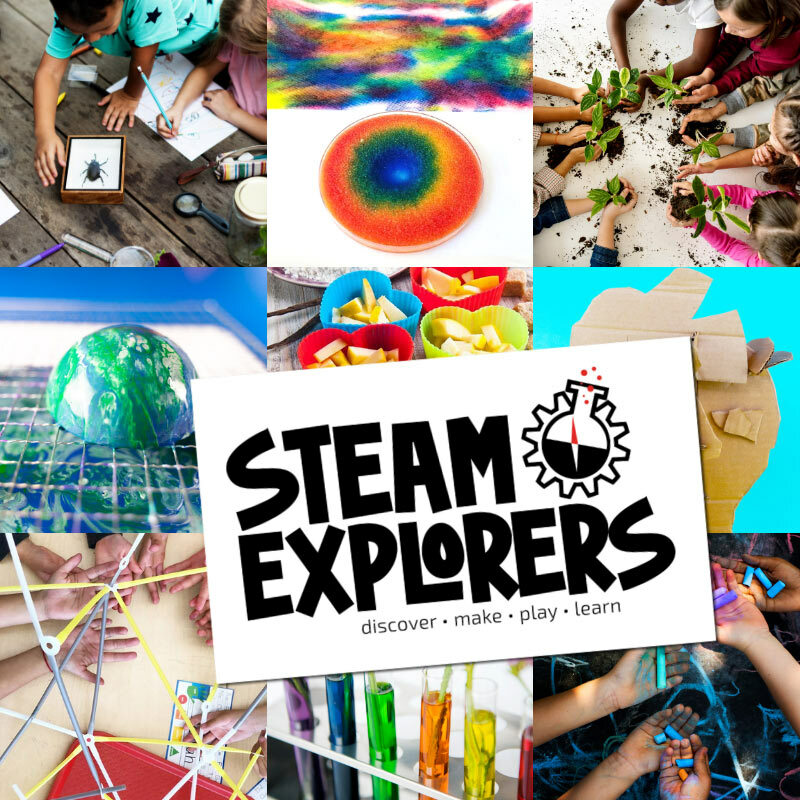 Love sensory play that you can dig your hands into? 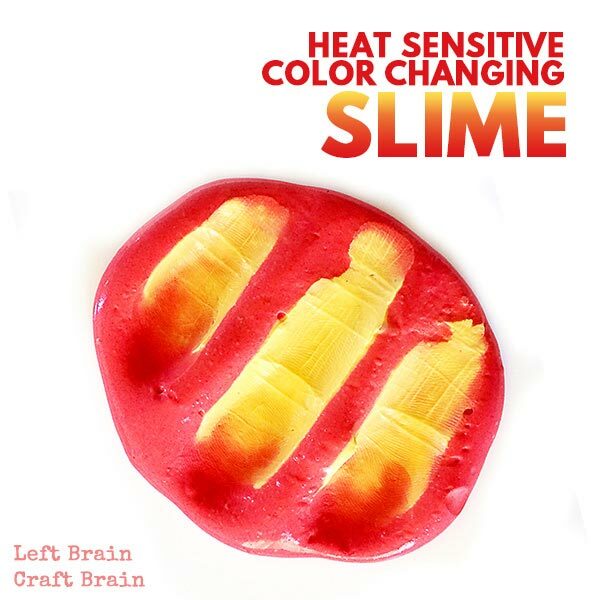 Try this totally amazing Color Changing Slime.